June 2015 Geek About Town! 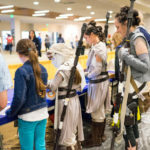 Looking for awesome stuff to do in June, fellow geeks? Here’s a great start for you! From the website: “Teams of undergraduate and graduate students compete to see who can create the best neural engineering demo. The Tech Sandbox is a UW class created by Lise Johnson, research fellow in neurological surgery and education manager at the Center for Sensorimotor Neural Engineering. READY TO GET ROWDY?! Head down to Tim’s Tavern for an electro/hip hop show the likes of which you’ll never see again Get your jam on! From the website: “Volunteer with teams across Seattle in an epic day of giving-back! Join over a thousand volunteers and local companies as we come together at over 50 nonprofits, schools and parks to get some serious work done. This is your chance to send a ripple effect across our city! From the website: “The Filipino Cultural Heritage Society of Washington (FCHSW) proudly presents Pagdiriwang, commemorating the anniversary of Philippine Independence. Held on the first or second week of June at the Seattle Center since 1987, the event has grown into the biggest festival of Filipino arts and culture in the Pacific Northwest. From the Meetup page: “Do you love board games and enjoy teaching others how to play? Explore the board/card game hobby and meet folks happy to teach you their favorite board games! No pressure though, you can just come and play with folks who love playing games. And the best part about the GeekGirlCon game nights with our friends at Wayward? They are absolutely FREE with no cover charge! Our group is inclusive and totally newbie-friendly. We play a wide range of modern board and card games as well as some classics. You might find King of Tokyo, Völuspá, Alien Frontiers, Locke & Key, Coup, Tokaido,The Resistance, Skull and Roses, Settlers of Catan, 7 Wonders, Toc Toc Woodman, FLUXX and many more! 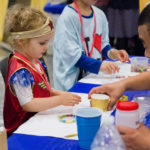 From the website: “Join us at Paramount Park in Shoreline on Saturday, June 20, 2015, from 9:00pm to 11:00pm, for an evening of public observing and learning about the universe. From the website: “Join us at Green Lake, just south of the Bathhouse Theater, on Saturday, March 28, 2015, at 6:00 PM for an evening of public observing and learning about the universe. From the website: “SUNDIATA (pronounced: Soon-jah-tah) is the Pacific Northwest’s longest running African American festival celebrated in Seattle. Check out the main festival page for an amazing list of featured guests and musicians! From the website: “Join Wing Luke Museum and Inscape Arts to explore the lives and stories that helped build Seattle’s Chinatown-International District. Tour historic Chinatown, Nihonmachi, and step into the new and permanent exhibit, created by artist Morgan Dusatko, at the former INS building. Retrace the paths of Seattle’s immigration history to see what has come before to learn about where we are headed. Tour time is about 2.5 hours of medium walking. Tour starts at Wing Luke Museum. Registration is required. Contact Visitor Services at 206.623.5124. Do you have a geeky event to plug? Email Shubz Blalack. We are happy to feature events outside of the Seattle Metro area! Please note: GeekGirlCon reserves the right to approve or deny any event submissions. All submissions must be in alignment with GeekGirlCon’s Mission Statement.